By the mid-1950s, a linear accelerator suitable for treating deep-seated tumors was built in the Stanford Microwave Laboratory and installed at Stanford Hospital. It served as a prototype for commercial units that were built later. Since that time, medical linear accelerators gained in popularity as major radiation therapy devices, but few basic training materials on their operation had been produced for use by medical professionals. C.J. 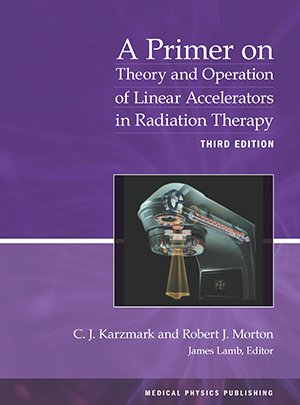 Karzmark, a radiological physicist at Stanford University, was involved with medical linacs since their development, and he agreed to collaborate with Robert Morton of the Center for Devices and Radiological Health (formerly the Bureau of Radiological Health), U.S. Food and Drug Administration, in writing the first edition of this primer. Since its first appearance, this book has become a classic. This third edition takes into account the significant advances occurring in radiotherapy linacs since the second edition was published in 1998. Again, the level of treating these advances is simplified so that the audience of radiation therapists as well as physicians, engineers, and physicists can benefit.